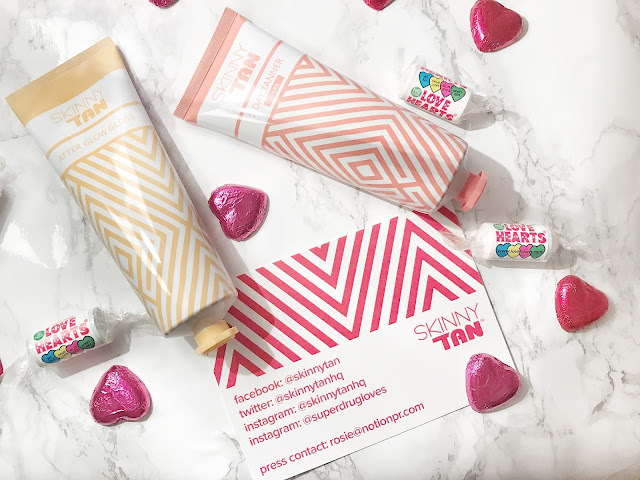 My quest for the perfect gradual tanner was successful at the start of February when I discovered Skinny Tan Gradual Tanner ( see my post all about it here). 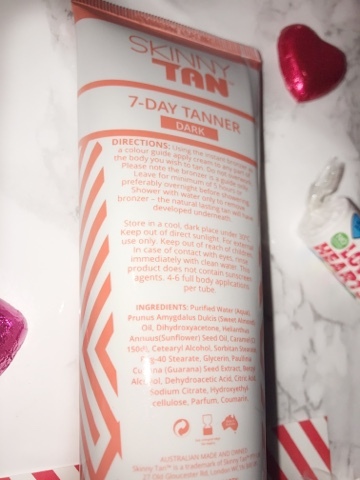 Following on from this post, I was contacted by Skinny Tan who were kind enough to send me a Valentines package with some goodies for me to try, including Skinny Tan 7 Day Tanner and Skinny Tan Afterglow Gloss. Moving into spring and summer I will be looking for more of a golden colour as opposed to a moisturiser with gradual tanner. As soon as the time of year rolls around where I will be showing a little more flesh (meaning wearing anything other than sweaters and turtle necks!) I like to have a bit of colour as I am generally fairly light, particularly after the winter slump. So the idea of a tan making me look sun kissed AND cellulite free is right up my street! 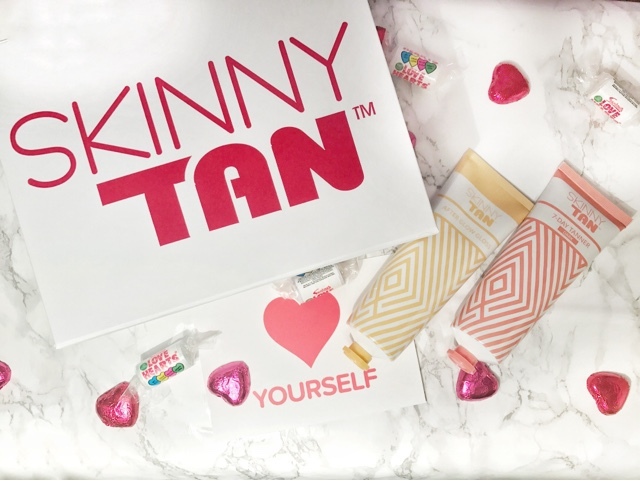 Skinny Tan is a serious innovation within the self-tanning world, not only providing you with beautifully tanned skin but also reducing the appearance of cellulite in any problem areas you may have. The secret ingredients are Sweet Almond Oil and Gurana to help reduce the appearance of blemishes and cellulite. The tan can be reapplied to create a deeper shade to create your own custom tan which suits you. When you apply the product, the guide colour is visible meaning a more even, precise application and even if the guide colour is applied with an odd streak here or there, once you shower the actual tan is not streaky. Genius! Application of the tan was simple, using a normal tanning mitt and smoothing the product gently into the skin. I wasn’t too particular with it and just applied it to my entire body in soft circular motions. I popped on some long pajamas and took myself to bed before washing the tan off the next morning in the shower. 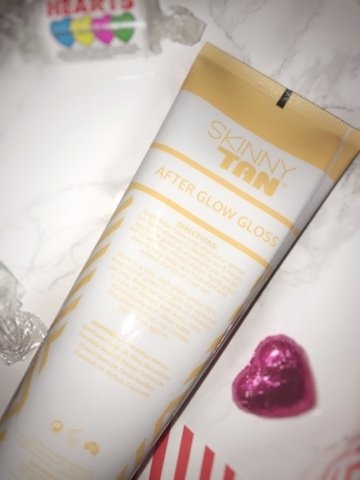 Once dry, I chose to apply the Skinny Tan Afterglow Gloss, which helps to maintain your tan for longer and keeps skin hydrated. All set, glowing and ready for the weekend! Check out my legs prior to applying my tan... and then the next morning after showing and applying afterglow gloss! From pasty to perfectly tanned! I have no doubt you will love this tan. For the upcoming months this is going to be a firm favourite for me!